Colombian rebel group FARC said Wednesday that it seeks a victim reparation fund that would consist of 3% of the GDP, granting about $11 billion per year for 10 years after an eventual peace deal with the government. The FARC suggested that the money would be taken from the defense and security budget, a wealth tax now used to finance the war, large agricultural companies and landowners, companies that have made money providing weapons and chemicals to sustain the war and coca eradication efforts, international donations. The rebels, engaged in peace talks since 2012, also want the US government to pay “as a compensation for the impact of their intervention in the armed conflict” that has been waging since 1964. 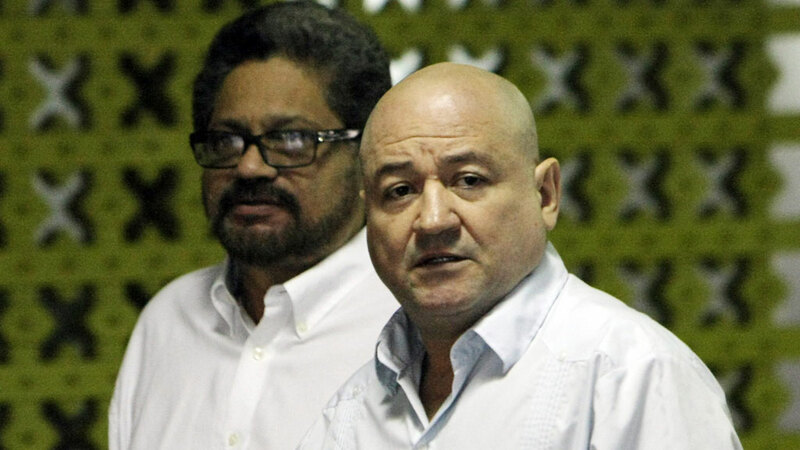 The money should be used for a number of purposes, rebel leader Carlos Antonio Lozada told reporters in Cuba where the talks are held. Restoration of victims’ conditions to those before victimizing events with a priority focus on the 6 million displaced. Immediate measures to reduce extreme poverty among victims. Special attention for the political and cultural identity of victims, providing specialized psycho-social assistance. The process of victim compensation and the restoration of conditions to what they were before victimization should be completed in 10 years, meaning the guerrillas are hoping to funnel more than $100 billion to victims. This council would be leaded by democratically elected representatives of different interest groups like women, farmers, indigenous, Afrocolombians, political parties, social and political organizations, labor unions, and representatives of the National Planning Department and the Finance Ministry. Involved in the armed conflict since 1964, Colombia’s largest and longest-living guerrilla group began formal peace negotiation with the government of President Juan Manuel Santos in 2012. The warring parties have since found agreement on three of five points of the agenda. In May 2013, they agreed on a land reform. Six months later, an agreement was made on the guerrilla’s politic participation. And, in may 2014 another one was reached on illicit drug production. The negotiating teams were complemented by military commanders from both sides this week. While the main negotiation teams are exchanging proposals on victim compensation, the military commanders hav begun negotiating a bilateral and indefinite ceasefire.